Is £17 a month for a three-year-old iPhone 4 still a good deal? £17 a month plus a free iPhone? Sounds like a cracking deal doesn't it? And we suppose it is, if you don't mind having a three-year-old iPhone 4 8GB handset for the next two years. High Street retailer Carphone Warehouse began touting Britain's cheapest ever iPhone contract today, which works out at around 56p a day, and less than half the price of most contracts for newer handsets. As well as a free iPhone 4, those who partake in the £17 deal, will be able to choose between a contract on the Three or O2 networks. Those opting for Three will get 500 minutes, unlimited texts and 250MB of data, while O2 is the better option for those who require more data, with 500MB, 300 minutes and unlimited texts. The deal lowers the entry level for Apple's smartphone, but users will need to consider that the iPhone 4, launched in June 2010, will be five years-old once the 24 month contract is completed. Carphone Warehouse COO Graham Stapleton said: "Many of our customers want the opportunity to own the iconic Apple handset but at a tariff that works for them. Even though smartphones are mainstream, there are still thousands of customers who are upgrading from a feature phone to a smartphone, and this deal is perfect for them." 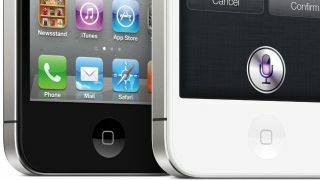 Do you think Carphone's offering remains a good deal regardless of how old the iPhone 4 hardware is? After all, it does come loaded with iOS 6 and access to the same App Store.